On Tuesday, I joined several of my colleagues from Oracle to volunteer at a charity called Open Arms of Minnesota. Open Arms of Minnesota is a nonprofit that cooks and delivers free, nutritious meals to people living with life-threatening illnesses in the Twin Cities. They deliver over 10,000 meals every week and rely on many, many volunteers to help them do this. Our group decided to participate. We scooped more than 1000 monster cookies in just over an hour. They smelled great, but the rule was no tasting while working. I did get to try a finished product after they were done and they were quite yummy. Our group also chopped and washed 4 cases of lettuce and assembled 188 green salads. It was actually a lot of fun having the chance to chit chat with some of my co-workers while working. Although I can tell I don't do enough of this kind of work in my life because after our 2 hour shift was over, I found myself to be more than a little tired. I gotta get back in the kitchen more often I guess. On Tuesday night, it was Grandma Linda's birthday, so we went to the Porterhouse in Lakeville to help her celebrate. A good time was had by all. On Thursday, we had a Chili-Cookoff at Oracle Digital in Minneapolis. There was a contest featuring more than a dozen different kinds of chili in three different categories. Traditional, non-traditional, and spicy. There were a lot of good options to choose from. Our team had several different entries. I couldn't wait to dig into each one of them. My boss, Will, and team-mate, Matt, both had entries in the competition. I helped with taking money at the entrance, so unfortunately I didn't get a chance to try either one of them. I was still going to vote for them, but when I walked up to the table to place my vote, they blocked me from being able to do so as can be seen here. So unfortunately, I didn't get a chance to vote. That's my story and I'm sticking with it. We also had an ugly Christmas Sweater contest with quite a few participants, although I didn't find any of them to be ugly. I'd probably wear most of them on a regular basis. The best part of the event was that we raised more than $650.00 for a local charity called VEAP which creates pathways to stronger, more hopeful, communities through access to healthy food, housing stability and supportive services. That was much nicer than any old regular lunch I normally have when working. On Friday night, I had the chance to go have a drink with my old buddy, Orlando Mazzolini. This guy just oozes charisma. It's amazing to sit at a bar with him and just watch the sheer number of people who come up and talk with him. I gotta figure out how to be like that some day. On Saturday night, we had the pleasure of going up to the VFW in Roseville to hang out with members of the Hornbuckle family which is always a great time. The reason for the celebration was young Alex Hornbuckle preparing to join the Marines. We are so proud of him and know it's going to lead to great things for him in his life. Thank you for your service, Alex!! 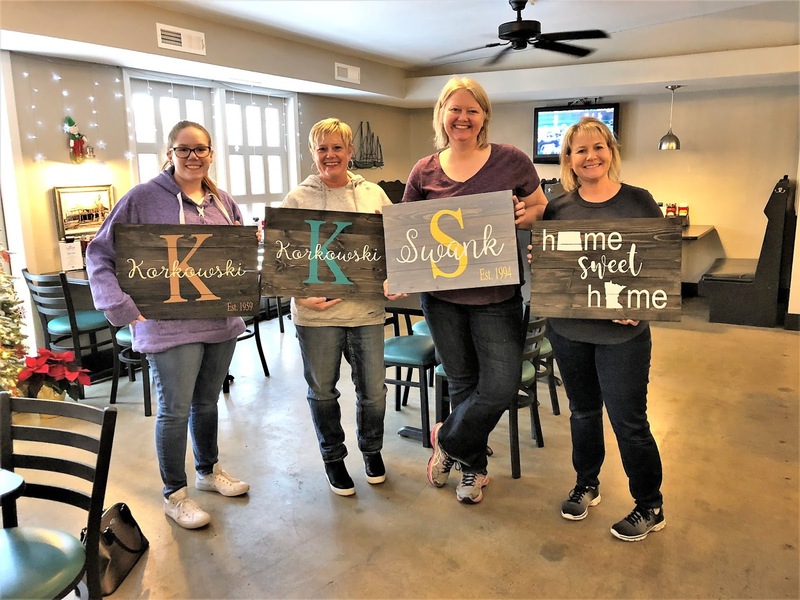 On Sunday, Miss Sheri had the chance to go hang out with the ladies to make a neat sign with our name on it. I like when she does stuff like that.